Autoblog rating for the Mercedes-Benz AMG E is not available. Please check back later. Just imagine if the vehicles we're used seeing to as taxis – Crown Victorias and homely Camry Hybrids – were the basis for luxurious, high-performance sedans. It doesn't make sense back home, but that's the stage that history has set for the 2017 Mercedes-AMG E43 4Matic. In Germany, where we flew to evaluate the E43 on its home turf, it rubs retractable mirrors with Mercedes-Benz dump trucks and busses. It only takes a few minutes of eyeballing local traffic to realize the E-Class is the prototypical, ubiquitous European taxicab. 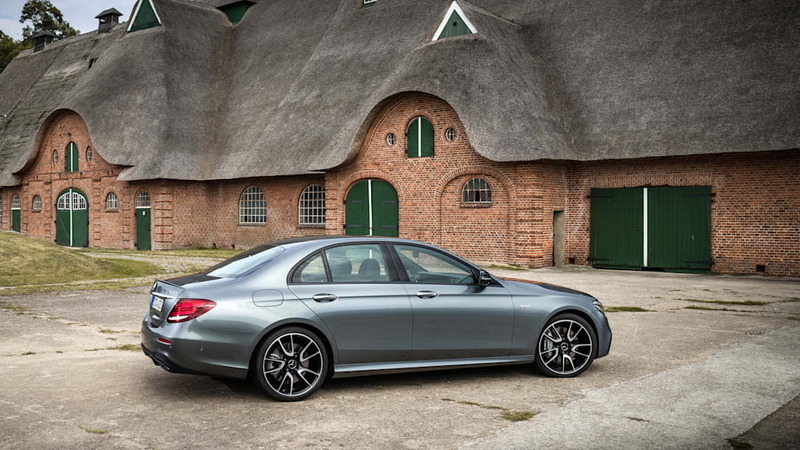 The strange duality of the E-Class is unusual but fascinating. Its earliest ancestors were rugged, overbuilt workhorses largely underendowed in the power department. By the 1990s, realizing the E-Class had evolved into something capable of transcending its workaday roots, Mercedes decided to hot-rod its taxi. The 500E was born, a strange and wonderful 322-horsepower special slipped off the assembly line to be hand-built in Zuffenhausen by Porsche. AMG got involved with the W210-series E-Class, and over time performance reached higher extremes with trunklid badges ballooning from E55 to E63. This opened some white space between the AMG and non-AMG versions of the E-Class. 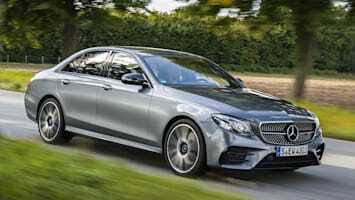 So Mercedes decided to build two AMG versions, this E43 and the E63 that will follow it up later. 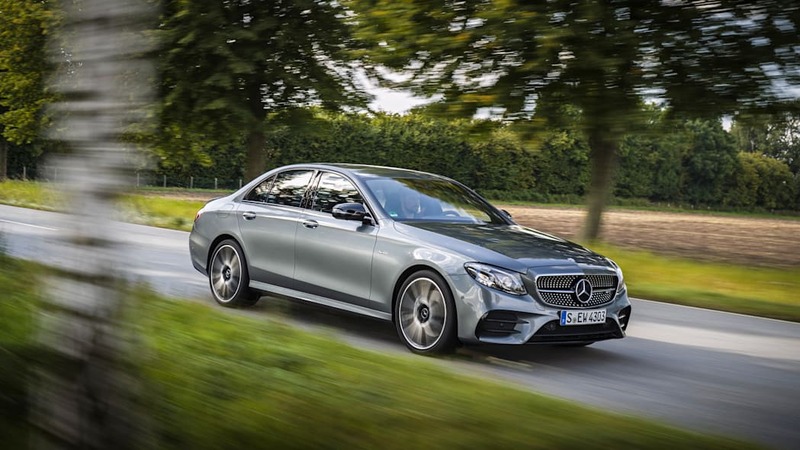 This follows roughly the same formula as the C43, which launched as the C450 AMG Sport to compliment the C63 in the lineup – more power than the 400-level cars coupled with some AMG-specific hardware handed down from the 63-level ones. 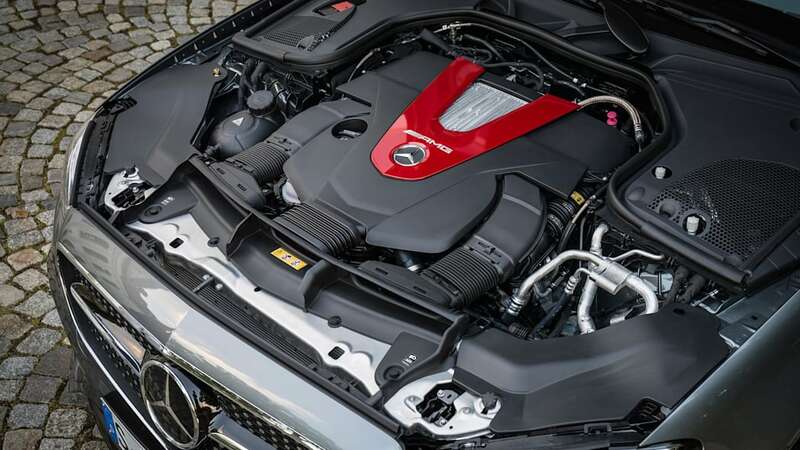 The E43's twin-turbocharged, 3.0-liter V6 engine produces a healthy 396 horsepower and 384 pound-feet of torque. 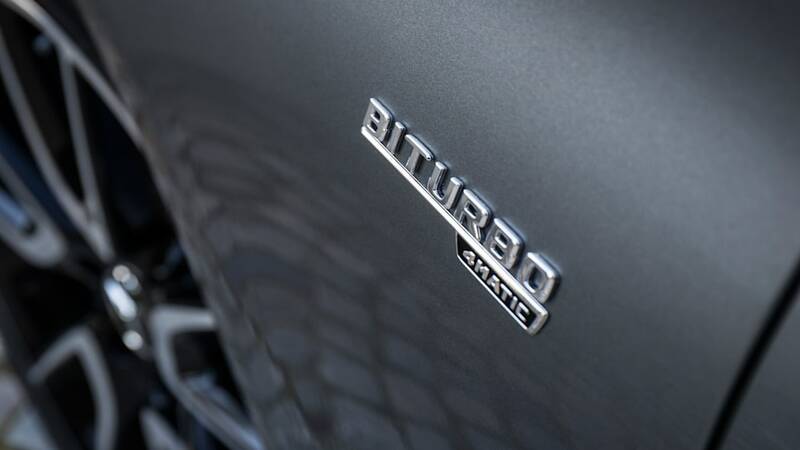 It's similar to the biturbo V6 in non-AMG models, but it's been enhanced with larger turbochargers and revised software. 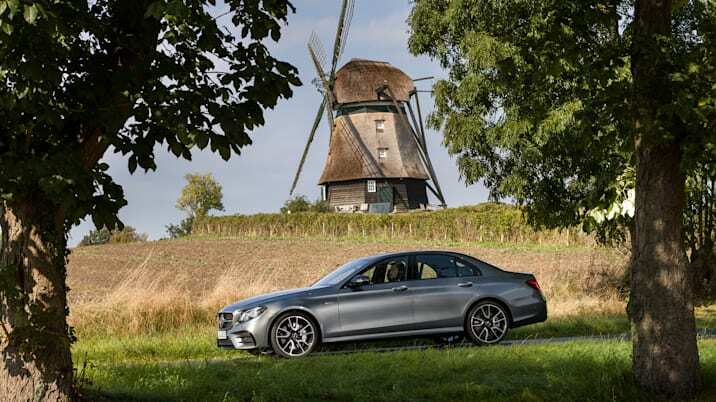 It's also features standard 4Matic all-wheel drive to make sure the additional power can all be fully utilized. 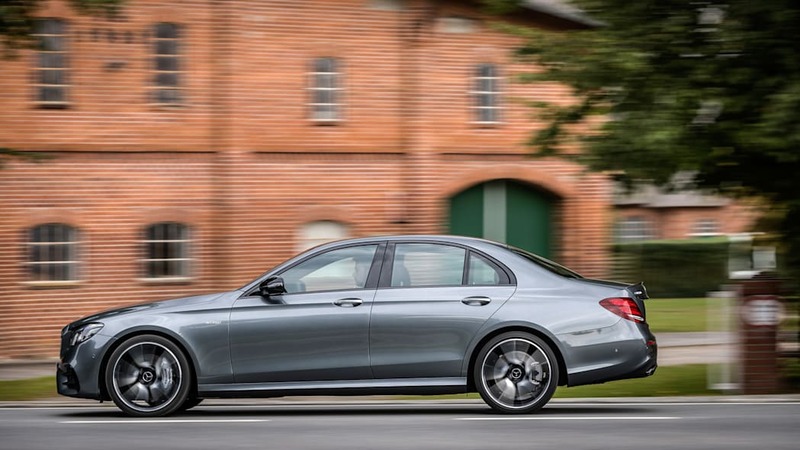 Until the E63 comes along, that makes it the top dog in the E-Class range. 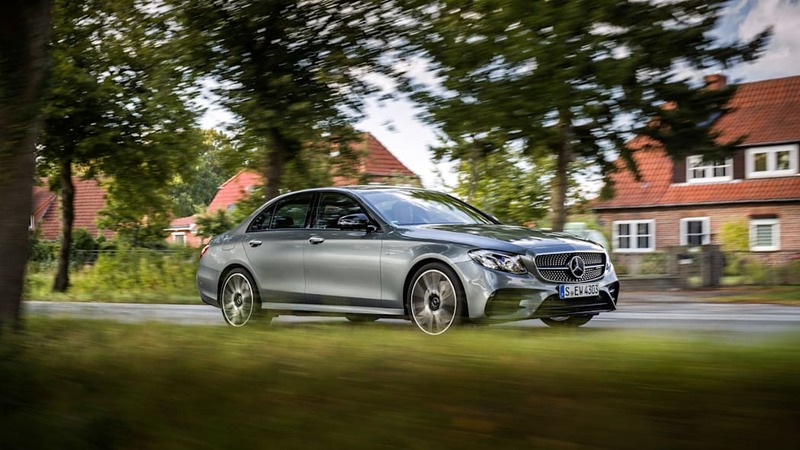 On the bottom rung is the E300, available only as a sedan that comes with a 241-horsepower, turbocharged 2.0-liter inline-four with either rear- or all-wheel drive. 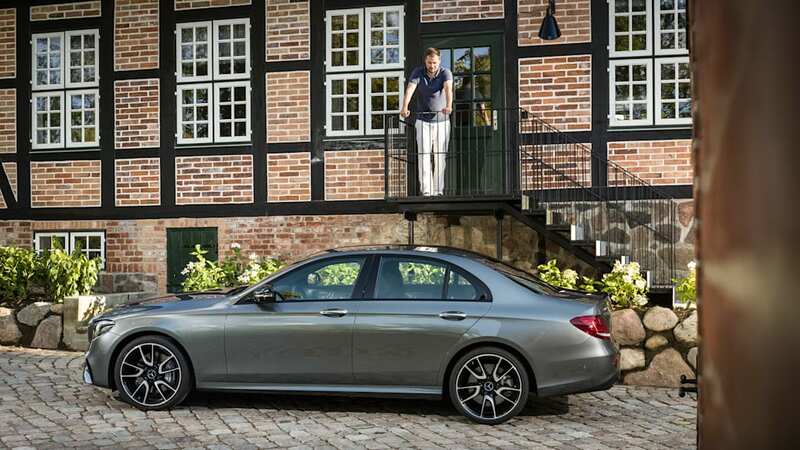 The E400 is only available as a handsome wagon. It packs the E43's V6 engine without all the AMG bits and tuning, so it only makes 329 horsepower but does come with standard all-wheel drive. 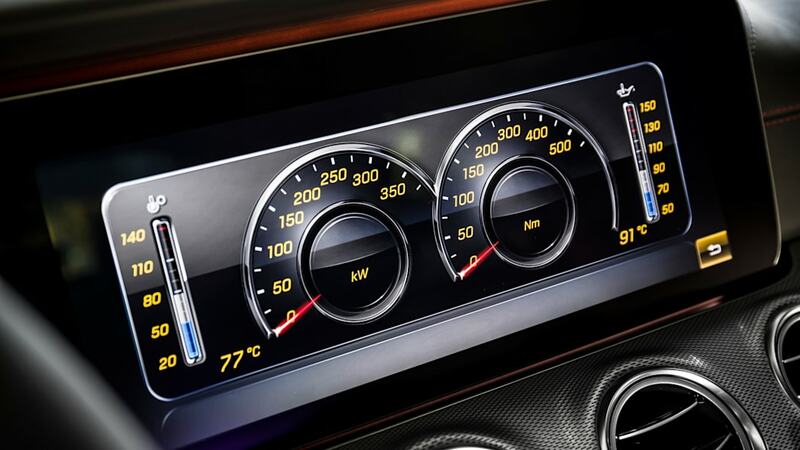 All E-Class models come with the 9G-Tronic nine-speed automatic transmission exclusively. It really wasn't all that long ago that the E43's powertrain would have raised eyebrows. 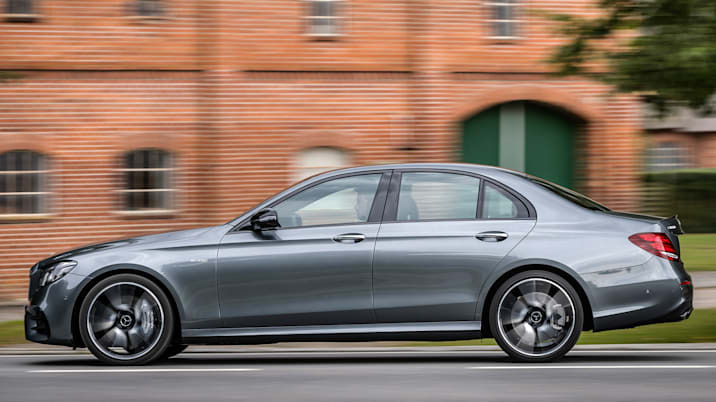 Damn near 400 horsepower, from just 3.0 liters, in an executive sedan! 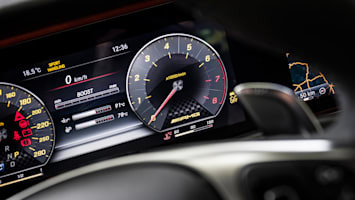 In our charmed era, this makes it second fiddle to both the outgoing 577-horsepower E63 S and whatever the forthcoming E63 will pack – don't be at all surprised if the E63's output figures look a lot like the AMG GT R's 585 stonkin' horses. On paper, the E43 represents a not-insignificant proportion of the E63's expected performance or the C63's demonstrated performance. It'll hit 60 mph in 4.5 seconds and is electronically limited to a top speed of 155 mph. 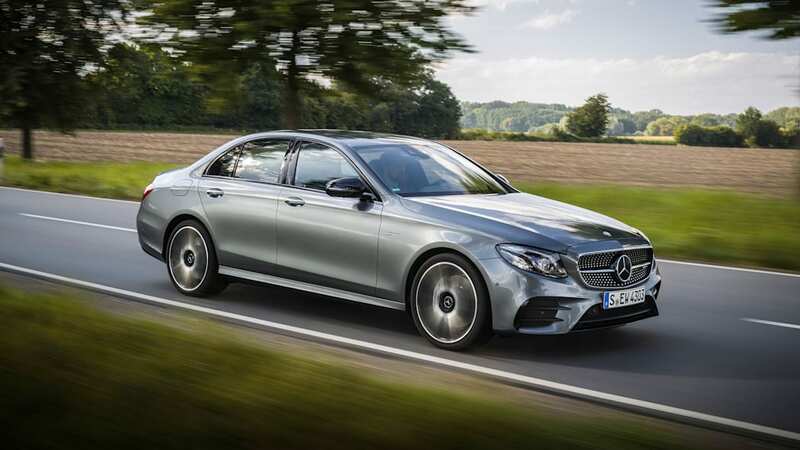 It's also relatively svelte; the larger engine and AMG drivetrain hardware only add 100 pounds on top of the E300 4Matic sedan. 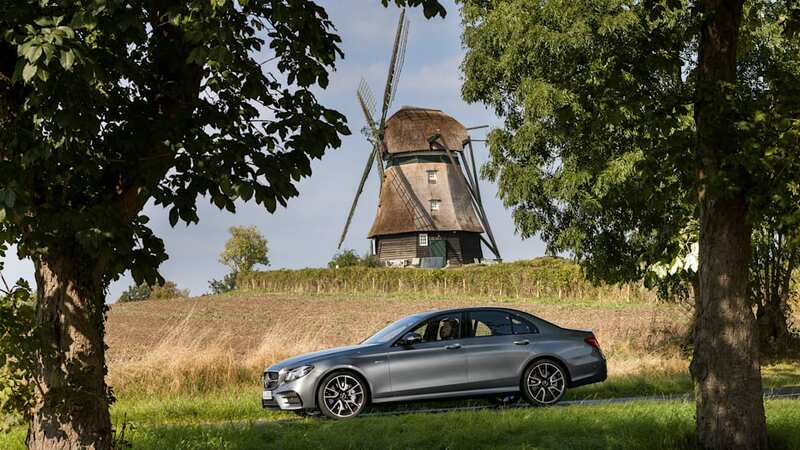 Jetting down to Hamburg airport from our backroads test route, the E43 held 125 mph comfortably and securely on the Autobahn for as long as we had between construction zones. It's sometimes said that the runner-up is really the first loser, and that kind of thinking sells the E43 short. Building the E43 is a smart move for Mercedes-AMG, imbuing the E-Class more power but keeping it a saner entry into the AMG universe. 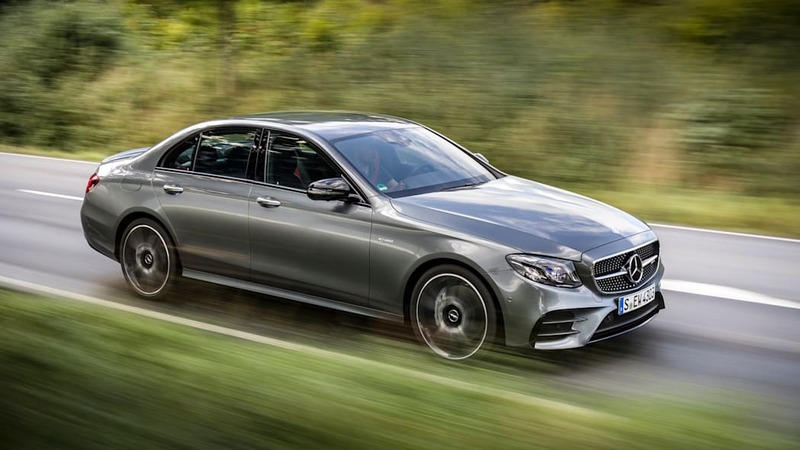 Instead of AMG Lite, think of the E43 as the new performance norm and the E63 as the overachiever. 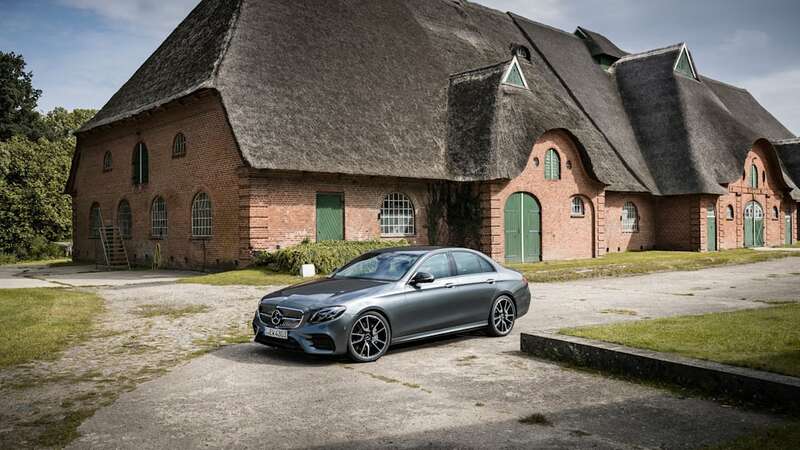 The E43 inarguably has the requisite amount of power to back up the AMG badge, and it's also been carefully facelifted to convey subtle aggression. Catch it from the front, and the distinctive "diamond" grille adds some pizazz, but the larger lower fascia openings are prominent – straked, gill-like. There's a lot of patterned plastic down there blocking off inactive openings, too. Other than the grille, which is refreshing, it's everything you'd expect from the AMG treatment as applied to a familiar face. This is even more true of the rear – a familiar tush with a sporty lift. Is it a big C-Class, or a small S-Class? From some angles, it's hard to tell. As understated as it is outside, the inside of our tester is more Las Vegas than Stuttgart. There's accent lighting bright enough to outshine the Strip, a JumboTron gauge/infotainment combo consisting of dual 12.3-inch TFT screens ripped straight from the S-Class, and a video poker machine's compliment of Command infotainment controls. There are two thumb control pads on the wheel, in addition to the familiar rotary controller on the console and the newer touch-capacitive pad. There are no coin slots, but it'll keep you occupied. Like the S- and C-Classes before it, which share the same basic interior design theme, the E feels immeasurably more special and unique inside than anything else in its class. 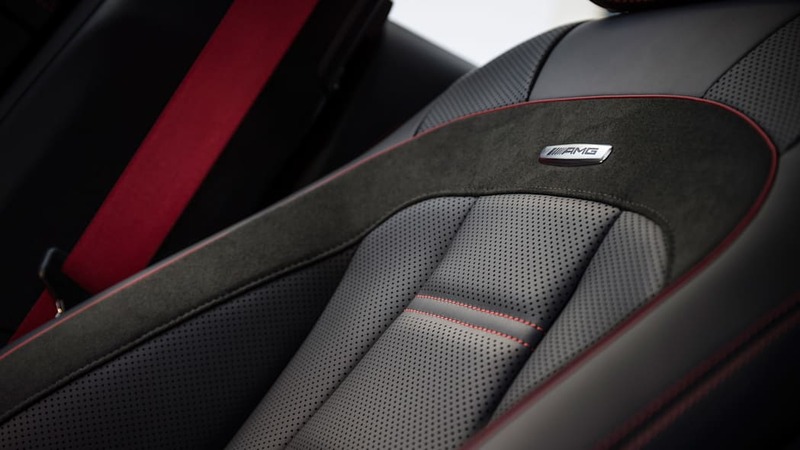 The AMG-specific touches – red highlights, sport steering wheel, and AMG-badged seats – fortify the luxurious ambiance with a feeling of athleticism. A feeling is fine, but athletes also must perform. The E43 is stocky but nimble, at least on glass-smooth German back roads. 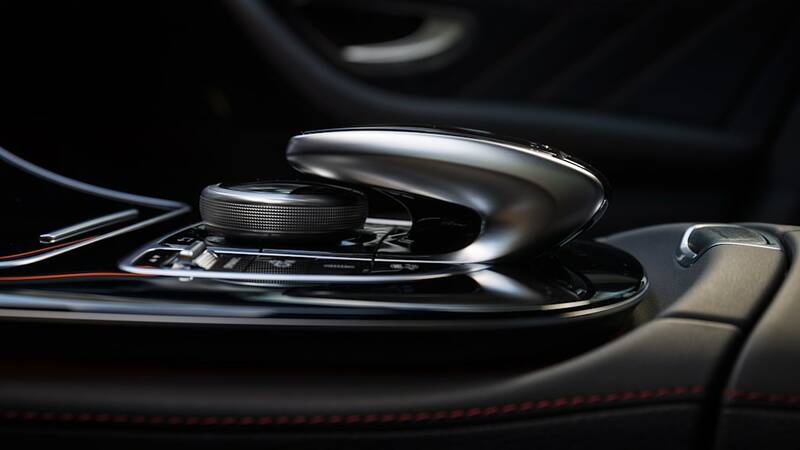 The nine-speed automatic is admirably responsive in Sport+ mode, ripping off quick shifts and running up to redline, and things are equally satisfying in full manual mode using the paddle-shifters. 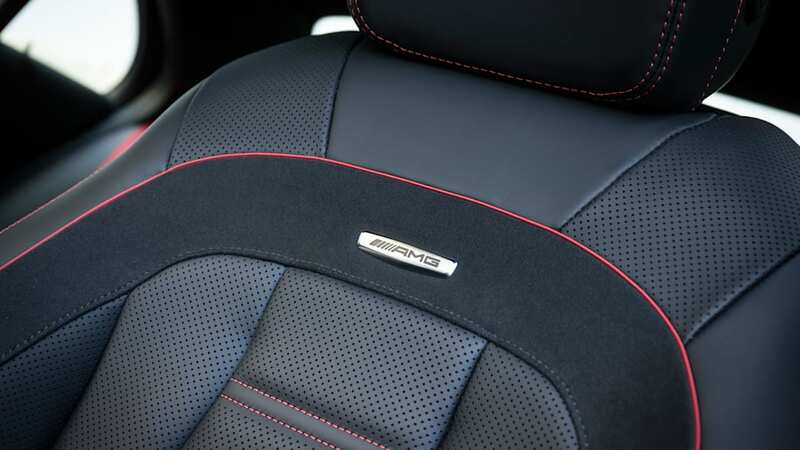 But the E43's composure can mostly be credited to the AMG Ride Control suspension system, which pairs adjustable air springs with continuously adjustable damping. The Sport setting keeps things tidy when the rare mid-corner imperfection intrudes upon the E43's composure. After spending a couple hours on the carefully curated "Dynamic" drive route, no handling vices are perceptible. With tractors and cyclists sprinkled throughout the countryside, there's only so fast you want to push it. At a spirited but sane speed, putting the variable-ratio electromechanical steering in Sport mode provides the accuracy that's needed on these narrow roads with a modest amount of steering wheel angle. The ratio does ratchet up quite severely after a few degrees of input, but on a flowing back road it's natural and intuitive. There's some sense of what the front end is doing, but in reality the difference between Comfort and Sport modes is more about ratio and effort rather than increased feel. The roads were also too perfect to figure out if tramlining is an issue, or how much sawing at the wheel you'll have to do on broken (read: typical American) pavement. This is exactly the reason some seat time back in America is important to fully evaluate a European car. Those American roads will likely reveal a downside of AMG transformation: ride quality when cruising in either mode. Our tester's 19-inch AMG wheels were shod in 40 profile up front, 35 profile in the rear ZR-rated rubber, so there simply isn't enough sidewall to absorb the occasional bump in an Autobahn construction zone, let alone those meteor craters we call potholes back in Michigan. Surely a tire needn't be this thin to prevent sidewall deformation. This isn't merely a vice of the E43; ultra-low profile tires are in vogue, and by today's standards they admittedly look sharp on this car. There's a tire out there meaty enough to add some initial compliance without sacrificing roadholding, but if it looked like a winter tire or full-size spare no one would option it, would they? It's not the sidewall profile we deserve, it's the profile we want. Outside of appearance, buyers also want emotional appeal. For an AMG, especially of late, aggression is the name of the game. The Mercedes-AMG C63, which has been roaming the streets picking fights for a little while now, is ferocious yet refined. The old E63 was stupid quick, with a yowling exhaust note that startled the unaware, particularly when it was emanating from the wagon version. These unquantifiables matter a lot. The E43's diluted AMG formula removes a greater proportion of its ferocity than the raw numbers would suggest. 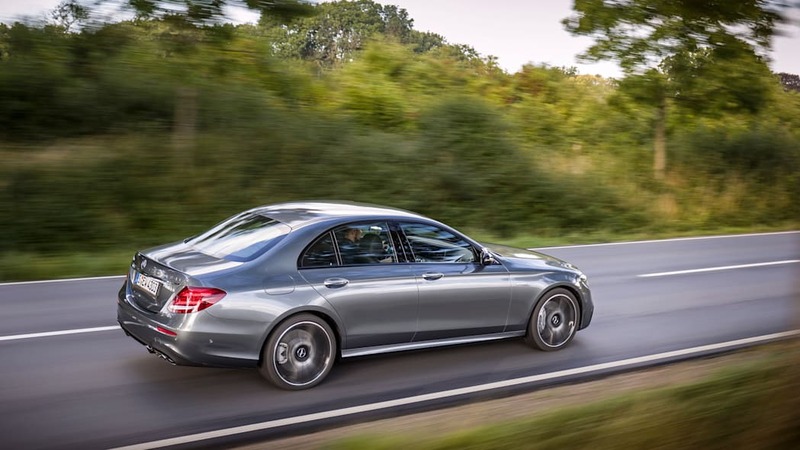 I said earlier that the E43 is the new performance norm, and the emphasis here is on normal. 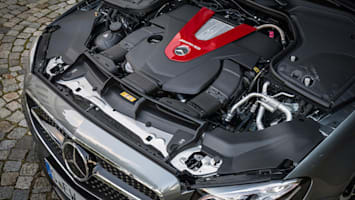 The 3.0-liter V6 is a corporate engine with a bit of tuning, but through the 4Matic system it sends power to both ends. All-wheel drive is a performance boon that increases traction and desirability to buyers both in and out of the Snow Belt, but by making it standard AMG misses an opportunity to re-instill some of the driving purity of past E-Class AMGs. 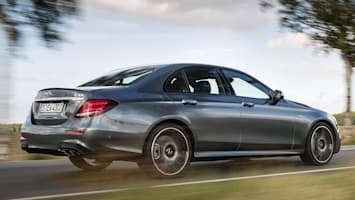 Since the E63 has grown too powerful to send all its oomph to the rear axle, having been outfitted with mandatory all-wheel drive in 2014, what if AMG offered the new E43 in a rear-drive version for the purists? 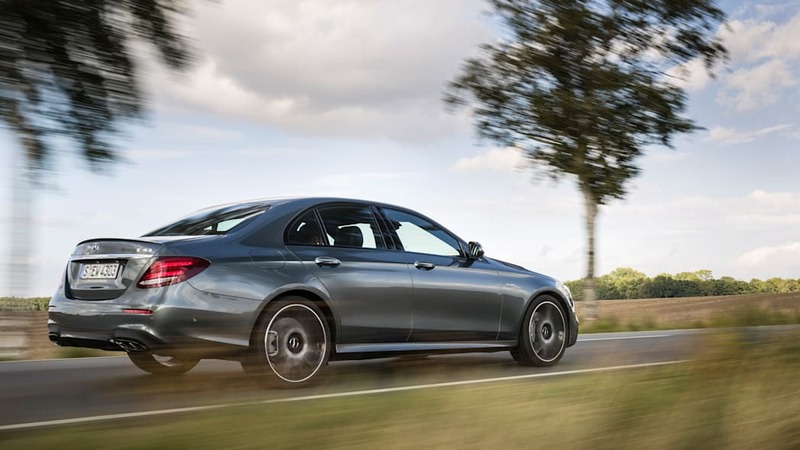 With such sophisticated and adjustable suspension, and a full suite of traction and stability aids with multiple levels of defeatability, the E43 would be a special thing in such a configuration. Even so, I can't fault the company for building the E43 to suit its probable buyers, not the loud purists who ultimately aren't in the market for one anyways. As it stands, the E43 moves rapidly, to be sure, but it doesn't move me. Pricing hasn't been announced, but we expect it to start at right around what a fully-loaded E300 retails for – somewhere between $70-80,000. To put that in perspective, the outgoing E63 sedan (or wagon) was a $100,000-plus proposition, while the C63 starts at $65,000. Unless you need the extra hip room the E43 is a tough sell next to the smaller, more sporting C63 stablemate. It'll be outgunned by an Audi S6, but is likely to undercut its closest BMW rival, the M5, by thousands. There's no doubt in my mind that when it goes on sale early next year, it'll make up a surprising proportion of E-Class sedan sales, especially since there's no E400 sedan to dilute its value proposition – and the E400 4Matic wagon, fantastic though it is, is even more of a niche product than the E43. 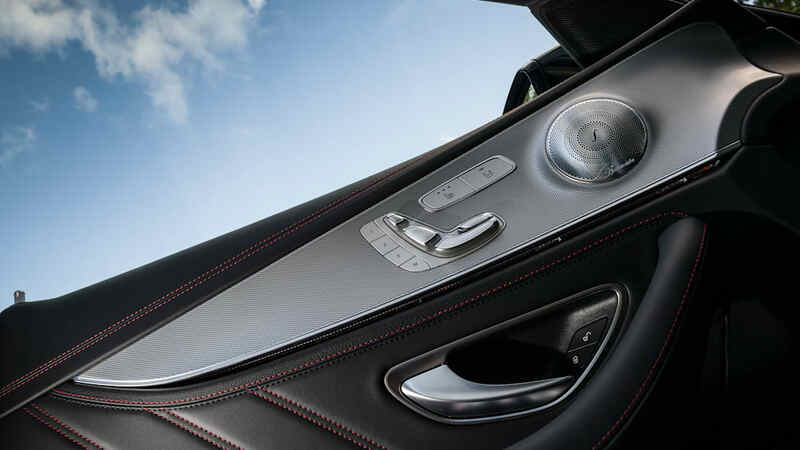 Creating a lower point of entry into the AMG brand is an admirable move, and smart business sense. Audi has taken this road with the S/RS split, and it might be time for BMW's M Division to explore bringing the M Sport trims closer to the full-M fold. 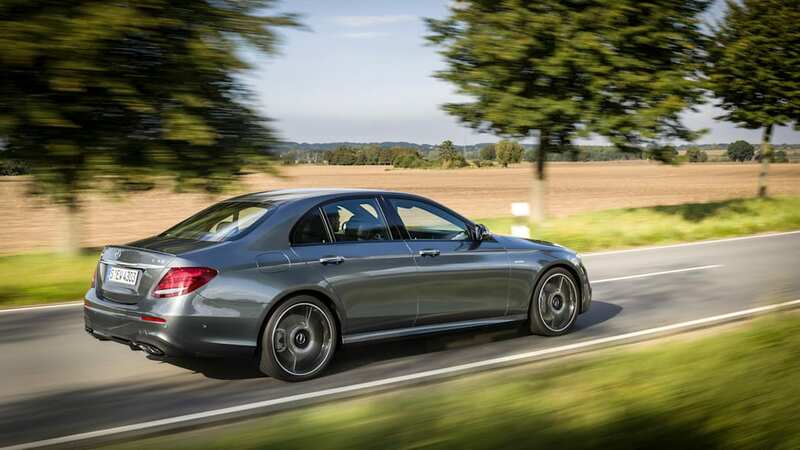 Special is hard, but the E43's technical sophistication and refined driving experience put a vast gulf between it and its European taxicab cousins. It's fast, comfortable, inoffensively but purposefully styled, and it has few vices. 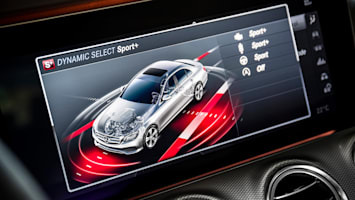 It is exactly the right recipe for AMG's new normal.